The TowerPro High-Torque MG996R Digital Servo features metal gearing resulting in extra high 10kg stalling torque in a tiny package. The MG996R is essentially an upgraded version of the famous MG995 servo, and features upgraded shock-proofing and a redesigned PCB and IC control system that make it much more accurate than its predecessor. High precision gear made of the POM (polyacetal) resin makes the operation smooth causing no backlash. Operating temp range: +14 to +144°F (-10 to +50°C)*Note: Servo current draw can spike while under load. Be sure that your application’s power supply and voltage regulator is prepared to supply adequate current for all servos used. 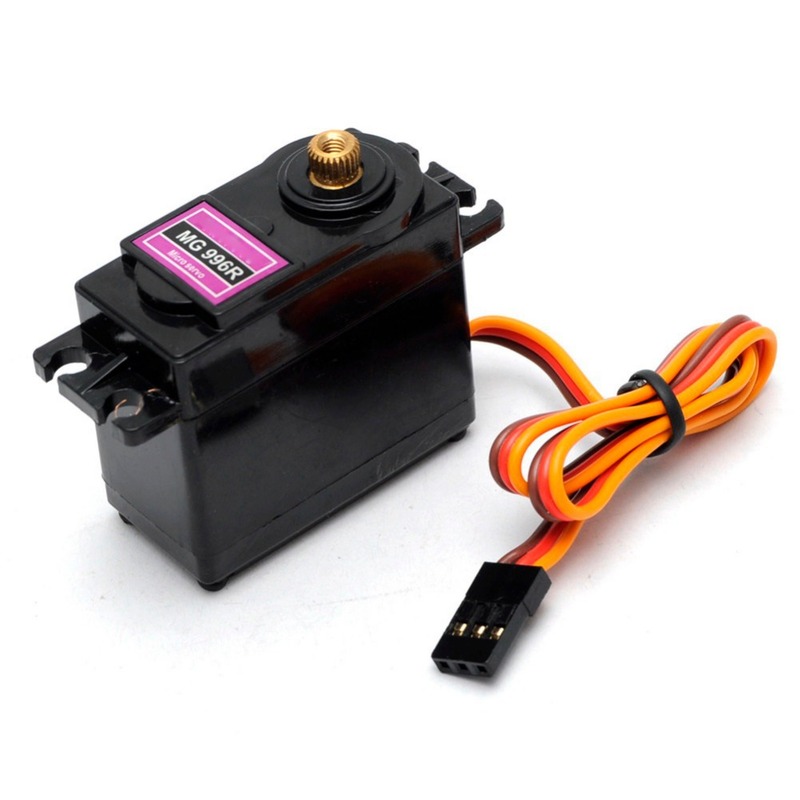 Do not try to power this servo directly from a BASIC Stamp module’s Vdd or Vin pins; do not connect the servo’s Vss line directly to the BASIC Stamp module’s Vss pin. Plastic case does not look cheap, metal gear well machined.